American rising diva, H.E.R, has set Singapore and Manila as destinations for her The Lights On Tour this May and June. The R&B singer songwriter is looking to spread her music in Asia as well during her headlining tour around the world starting with Singapore on 31 May at The Space in Savourworld. Tickets are available now for Mastercard holders via SISTIC priced at SGD98 with public sales starting tomorrow from 10am onwards. 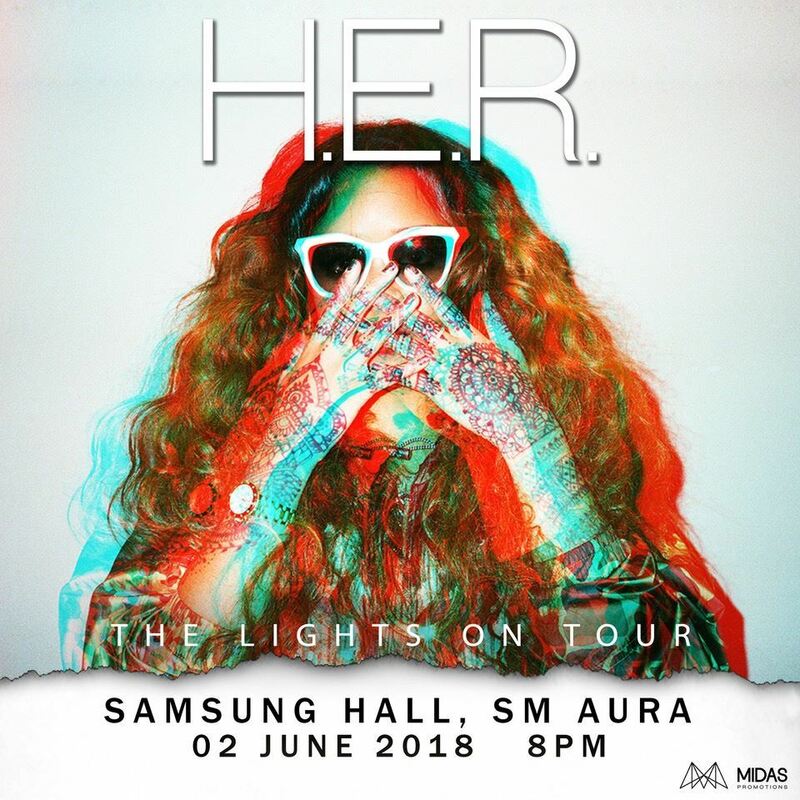 H.E.R’s show in Manila will be happening on 2 June at the Samsung Hall, SM Aura. Ticket details are yet to be announced for that one, so stay tuned for updates. H.E.R to perform in Singapore and Manila on her first world tour! At the ripe age of 20, H.E.R made her debut in 2016 with her first seven-song self-titled album which was awarded iTunes’ Best of 2016 R&B/Soul Albums. Her track, “Losing” made it into the iTunes best R&B singles list, and currently has 11 million views on YouTube. So don’t miss out on the performance of a rising star as she brings her muse and blues into Asia later this year. Check out one of her greatest hit singles, “Losing”.